It’s a fact that not many like to acknowledge, especially those embarking on a new project: ERP failure happens. Because ERP implementations take up so much of a company’s resources and are intended to support such a wide range of processes, failures can be truly devastating when they do occur. Big-name ERP failure stories are widely reported on, striking fear into the hearts of businesses looking to implement or upgrade an ERP system. 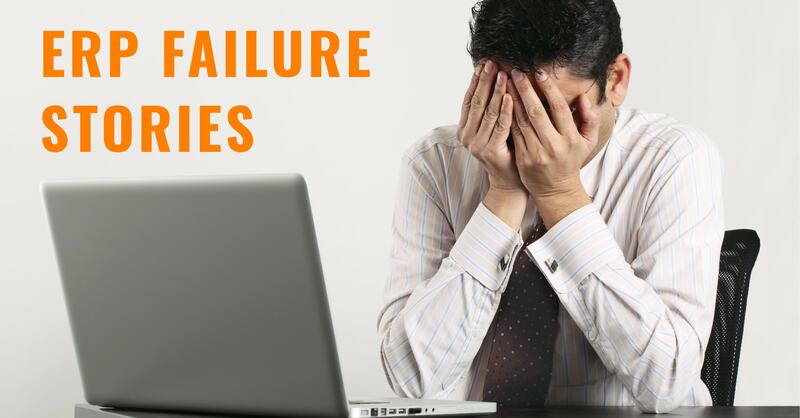 However, the best thing about failure is the lesson that often comes from it—and there are a lot of things to be learned from some of the most talked about ERP failure stories. Read on for four of those stories—and how to avoid making those same mistakes. In 2013, Avon’s $125 million SAP enterprise resource planning project failed after four years of work, development and employee testing. After rolling out the system for testing in Canada, the door-to-door makeup giant reported that the technology had provided extra work for its critical sales representatives, rather than easing their number of tasks as the technology had been designed to do. This then understandably discouraged the reps from utilizing the system in the regions in which Avon tested, and the makeup seller lost its reps in droves. After they got word of the software's failure to perform adequately in Canada, Avon discontinued rollouts across other locations and called off any further work with the enterprise software. The software was kept on in Canada to avoid any further disruption to the company’s services, but the rest was binned, costing Avon a pretty penny. Lesson Learned: ERP software can brag all it wants about functionality and all of the magical modules and apps you can use to make your business processes easier, but that won’t mean anything if your software isn’t actually usable. It’s all about aligning your software to your business processes, and if you can’t get staff to use your ERP, they won’t be carrying out the processes necessary to keep your business running. Make sure your employees are properly trained and transitioned into the new software, and that they want to use that system in the first place. This project failure may have happened way back in 2004, but there are still lessons to be learned from Hewlett-Packard’s disastrous attempt at an implementation of multiple enterprise systems across their offices. As the HP CIO at the time, Gilles Bouchard later mentioned that the failure could largely be attributed to an accumulation of problems. As they attempted to transition a region into a simplified group of ERP applications, they found that communication between both teams and software broke down. As multiple silos worked individually and legacy software systems lost data in the transition, increased demand put entirely too much pressure on the whole ordeal. The failed project cost HP over $160 million—quite a chunk of change for a product meant to overhaul business processes and drive costs down. Lesson Learned: In any ERP project, you need to plan for problems. Bouchard noted that HP should have made a “contingency plan for four, five or six weeks," indicating that the company was clearly not prepared to deal with such a buildup of problems along with increased demand for their products in that time frame. Make sure you learn from the company’s mistake and take a more proactive approach to ERP implementation. Waste Management signed onto an 18-month ERP implementation deal with SAP that ended in disaster and was dragged out for years after the project’s original 2005 start date. WM struggled with the project so badly that they ended up in court, claiming they had been duped by the SAP sales team and a flashy demo that never ended up materializing. Not one to take the punches quietly, SAP counterclaimed that the project failure had been entirely due to WM and their inability to provide key information and knowledgeable employees to the project. The case was only settled in 2010. Safe to say, the ERP did not provide the improvements or time-saving benefits that were originally expected. Lesson Learned: Communication, communication, communication. It can be an incredibly smart decision to go with an outside partner for an ERP project, but you need to make sure that both parties know the project you are embarking on. You need to stack your project team with experts from both your team and your consulting partner’s line-up. Make sure you grill your potential consultants, and that they are up to speed with your project and have the experience it will take to complete it successfully. Ask for references, get a timeline and make sure you have full confidence in your partners before you sign anything. It was announced in November 2012 that the U.S. Air Force was finally pulling the plug on a huge enterprise project that would seek to integrate hundreds of disparate financial systems into a single source of truth. That project had been running for over seven years and had gone far over budget. It would need another $1.1 billion on top of the money already spent in order to just finish the project. As a result, the Air Force decided it would simply be better to call it quits before they invested that cash, as the previous investment had yielded very little system improvement. Lesson Learned: Understand the size and scope of your project at the beginning, and set clear limits so that you know exactly when your ERP project is getting out of hand. Scope creep is one of the biggest hurdles an enterprise project has to overcome, so managing expectations for your ERP project among every employee and executive out of the gate is critical to project success. With clear goals and a realistic timeline and budget, you can ensure that you keep your software project out of the ERP failure stories pile. 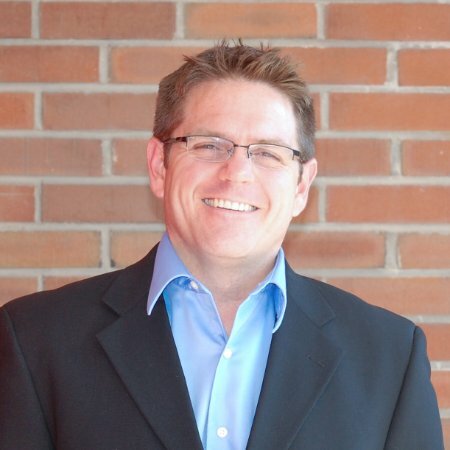 It’s undeniable that any ERP project carries a certain measure of risk along with it. ERP failures can result in millions of dollars down the drain, lost customers and even courtroom battles. But ERP failure doesn't happen to everyone. Learn from these ERP pitfalls to protect your business from throwing away your hard-earned investment. For a helping hand during your next enterprise project, look no further than Datix. As an Epicor Platinum Partner, we are a premier Epicor ERP consulting firm with over 20 years of expertise in providing ERP solutions for manufacturers and distributors. Get in touch with us today to ensure that your project becomes an ERP success story!